On Thursday, February 28th Grace High School students gathered for chapel, one which many might have suspected to be nothing out of the ordinary. However, the following hour was nothing to that effect. This year’s Black History Month Chapel was filled with honest storytelling of what it feels like to be a minority in a dominantly white institution. To many, this chapel was extremely necessary, as recent accusations of racism have surfaced in the Grace community. Following Mirely was a rendition of the song“Holy” by Christina Oxley ‘19, Abisola, and Stephanie Cox ‘19. 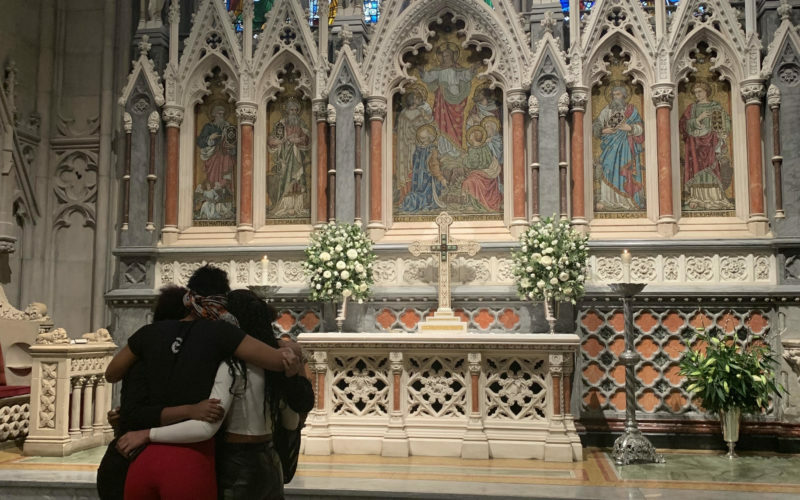 Finally, came a third personal reflection, this time from Kayla Diaz ‘19, who shared her experience through her school career where race and racism were always made apparent, and then the joy in learning the diverse history behind the black community.